Just get a spoon and start eating it right from the dish, who needs bread? 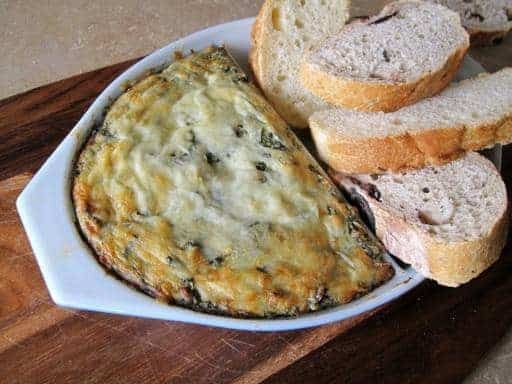 A good spinach/artichoke dip is one of my favorite foods for a brunch. Or even cold for breakfast, but that would mean leftovers and that just does NOT happen. This is as easy as falling off a horse. 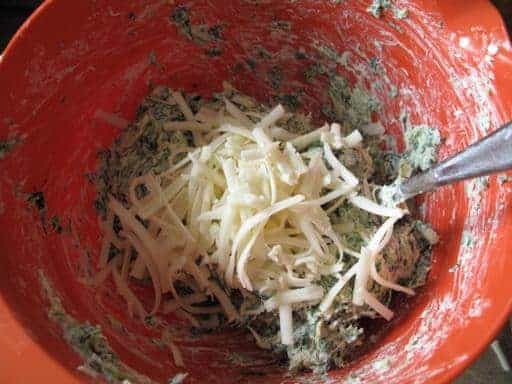 Mix the cream cheese, sour cream, very squeezed out spinach, roasted garlic that you chopped or smushed up, the chopped artichokes and pepper. Cream it all together well. Whip it up, get that spinach broken up, the creams melded together, don’t worry, the more you mix it, the better it is. 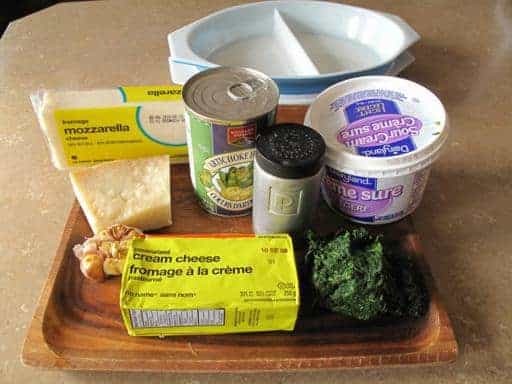 Then add in the cheese. Now this Parmigiano-Reggiano makes this dip taste amazing. That and the roasted garlic give this hot dip an edge on most others. Mix in half the mozzarella cheese. Can I mention that I was completely and utterly excited, beyond words, that my split dish fits the dip perfectly one on side? This was not planned, it just happened to work out that way. 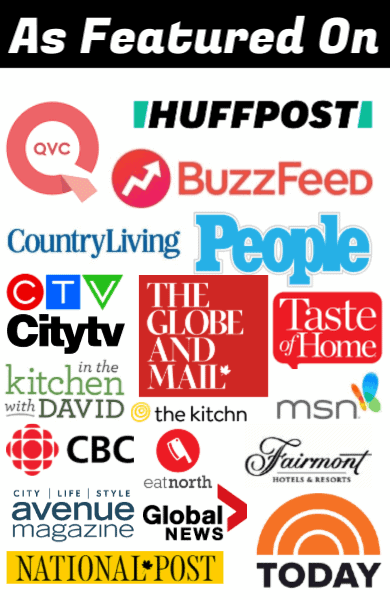 I don’t actually plan things while doing up my recipes. The ingredients just get tossed in, I pray and hope they fit into something at the end. All it takes is faith and trust.. and a little bit of pixie magpie dust. Which is called blind luck. 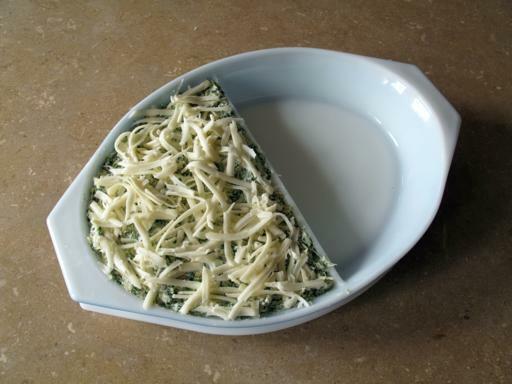 Place your dip into a greased baking pan or pyrex baking container and add the remaining mozza cheese to the top. Bake uncovered at 350 for 20-25 minutes until the cheese is melted and a knife inserted in the middle comes out hot. Then you can serve it piping hot out of the oven, put some lovely artisan breads in there (which I did not make myself, as if) or vegetables, crackers, you name it. If you cover it with tinfoil for a few minutes, you also heat the bread up quite nicely before serving. Hot spinach and artichoke dip just loaded up with melted cheese. Kick the tires and light the fires to 350 degrees. This is as easy as falling off a horse. 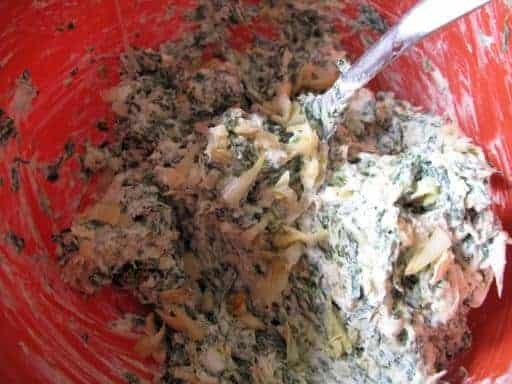 Mix the cream cheese, sour cream, very squeezed out spinach, roasted garlic that you chopped or smushed up, the chopped artichokes and pepper. Cream it all together well. Whip it up, get that spinach broken up, the creams melded together, don't worry, the more you mix it, the better it is. Bake uncovered at 350 degrees for 20-25 minutes until the cheese is melted and a knife inserted in the middle comes out hot. Then you can serve it piping hot out of the oven, put some lovely artisan breads in there (which I did not make myself, as if) or vegetables, crackers, you name it. If you cover it with tinfoil for a few minutes, you also heat the bread up quite nicely before serving. 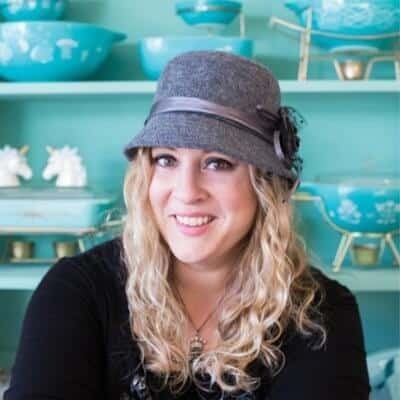 I love the stuff when we eat out – nice to have a recipe. I made this for my sister’s baby shower and I received SO MANY compliments and my sister LOVED it. Definitely a keep for my recipe book. Thank you!